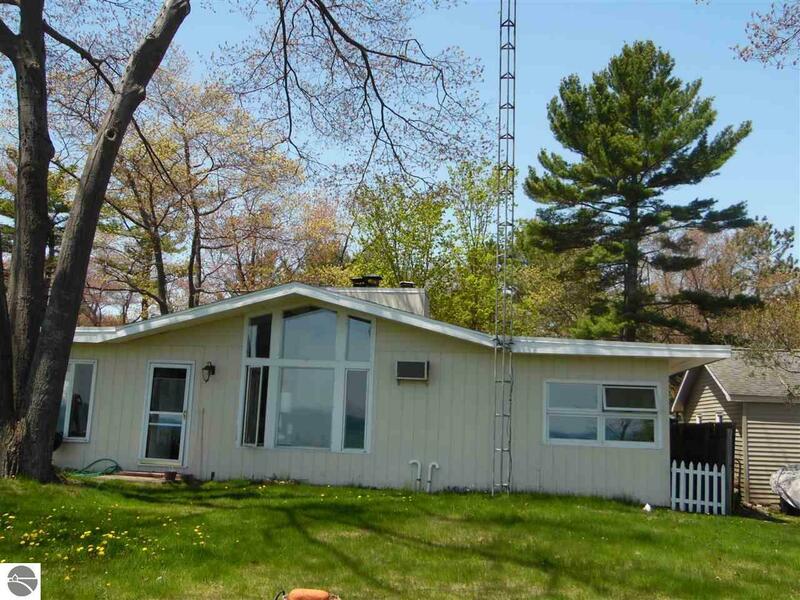 60 Feet on Lk Huron, 3 Bed 1 Full Bath Ranch Home...1 Car detached Garage. The Sunrise Side for you to enjoy the Sun and view of Lake! Wood Burning Fireplace, Open ceilings and all nice size bedrooms. Some Knotty Pine, and 2 walls of windows in the Sunroom for you. Updated Bathroom...pretty Hardwood Floors too. Just north of Downtown E Tawas, with Oscoda just a ways up and all the area has to offer. Would make nice year round home, or Weekends/Summer Get-a-Way! Waterfront: All Sports, Bluff (less than 10ft), Great Lake, Yes, 60 Ft.